In the Spring of the year, the outer world beckons. It can be a time of innovative ideas, risk-taking adventures, and new seeds planted in the hope of the future. 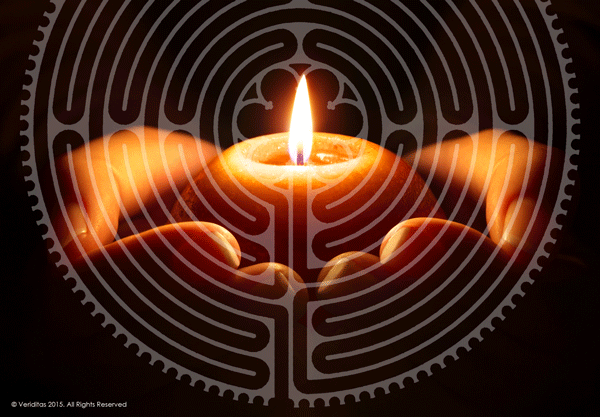 At this Pilgrimage we will come together to explore what it means to create beautiful and meaningful rituals and ceremonies on the labyrinth inspired by the rising spring. Our Friday session will focus on the part ritual and ceremony plays in our lives and how to become comfortable and adept in the role of ceremonial leader. On Friday evening, we will participate with Grace Cathedral's monthly Candlelight Labyrinth Walk, experiencing a simple and beautiful journey into sacred space with special exquisite music by French musician Catherine Braslavsky. On Saturday, we will reflect upon our Friday evening experience to explore the elements of ritual creation. Lauren and Judith will take you behind the scenes of the choices they have made to create the ritual that concludes our program. Saturday, March 9 10:30- 7:30 pm Including a late lunch break and a hosted reception following our private ritual on the Grace Cathedral labyrinth.